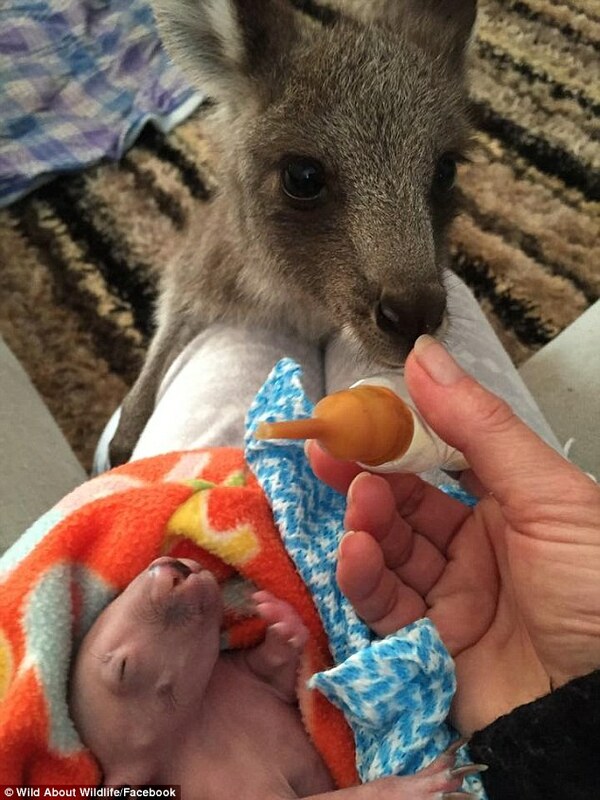 Two baby animals who both lost their mothers to cars have formed an unlikely bond at a wildlife sanctuary in Victoria. 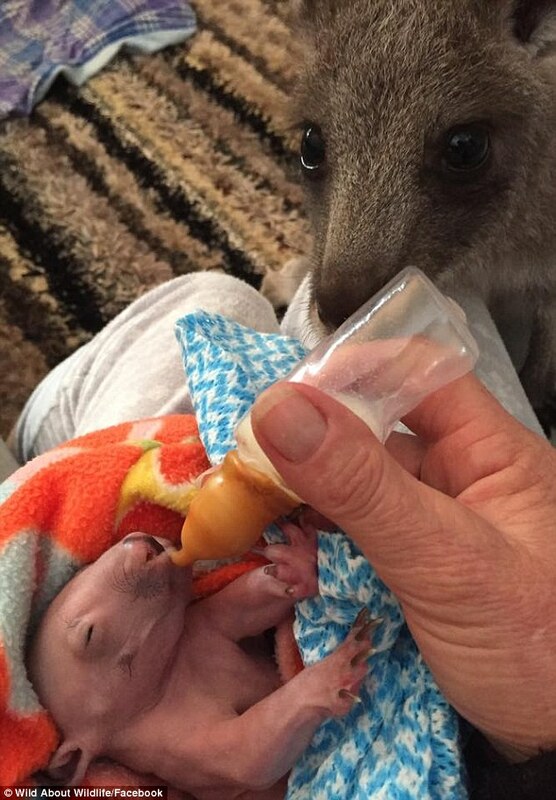 Max, a seven-month-old joey with an affectionate streak, has been photographed by his ‘mum’, shelter owner Lisa Milligan, trying to help feed a baby wombat his bottle. ‘Max is a very headstrong little joey – out of all of my joeys, he’s the one that’s always out of bag and following mum around,’ she said. While Max typically sticks to showing his affection to his human family, who took him in to their shelter in Kilmore about six weeks ago, it doesn’t seem like he’s been able to stay away from his new friend Digger. ‘Max is a big smoocher towards me and my family,’ said Lisa. There are currently 35 animals in Lisa’s shelter, Wild About Wildlife, and most of them will be rehabilitated and released in to the wild when they are old enough. 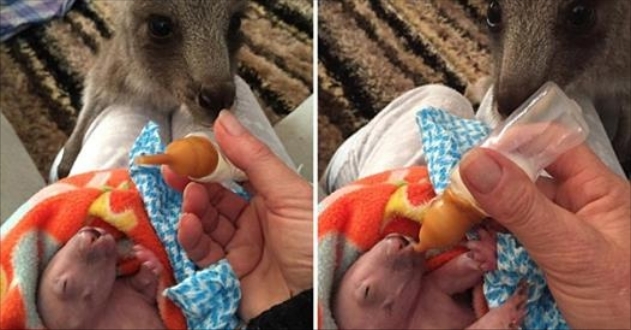 Responses to "Tender moment a kangaroo helps to feed his wombat baby ‘brother’"